Partly cloudy this evening followed by increasing clouds with showers developing after midnight. Low 48F. Winds N at 10 to 20 mph. Chance of rain 40%. This year's 39th annual banquet was on Saturday at the Wall Community Center. The four honorees were Helen Richter (pictured), of New Underwood; Edna Smith, of Sturgis; Ken Skillingstad, of Wasta; and Alice Richter, of New Underwood. This year's 39th annual banquet was on Saturday at the Wall Community Center. The four honorees were Helen Richter, of New Underwood; Edna Smith (pictured), of Sturgis; Ken Skillingstad, of Wasta; and Alice Richter, of New Underwood. This year's 39th annual banquet was on Saturday at the Wall Community Center. The four honorees were Helen Richter, of New Underwood; Edna Smith, of Sturgis; Ken Skillingstad (pictured), of Wasta; and Alice Richter, of New Underwood. This year's 39th annual banquet was on Saturday at the Wall Community Center. The four honorees were Helen Richter, of New Underwood; Edna Smith, of Sturgis; Ken Skillingstad, of Wasta; and Alice Richter (pictured), of New Underwood. This year's 39th annual banquet was on Saturday at the Wall Community Center. The four honorees were Helen Richter, of New Underwood; Edna Smith, of Sturgis; Ken Skillingstad, of Wasta; and Alice Richter, of New Underwood. "Honorees selected have demonstrated the qualities of being exceptionally good neighbors; those people who are always there to lend a helping hand when needed through volunteer work, community service, and just being a kind and helpful person to those who live and work around them," the release states. Janet Fernau, who nominated Richter, said she has been literal geographic neighbors with Richter for 15 years, and Richter epitomizes what it means to be a good neighbor. From feeding barn cats to checking on the house while Fernau and her husband are away from home, Richter is always willing to help, she said. During one particularly long absence, Richter "even left footprints in the snow to make it look like someone was home." 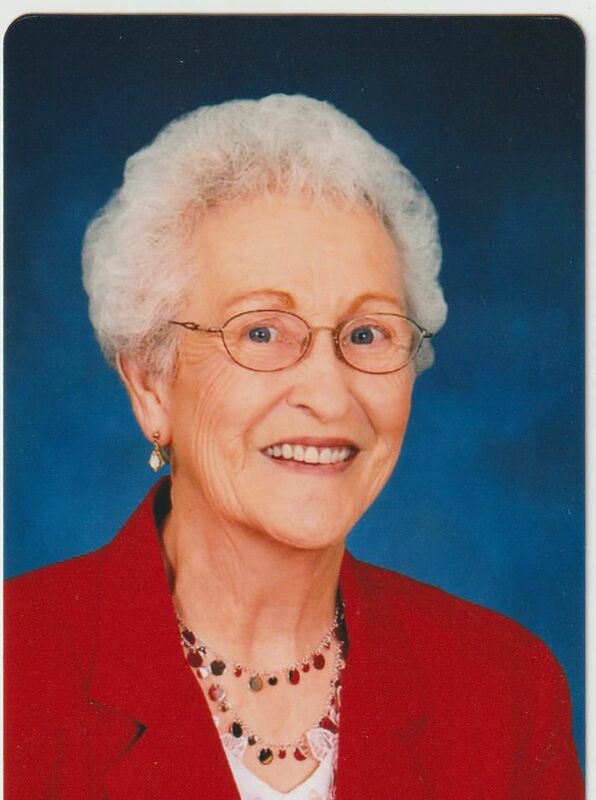 “Helen’s love of family and community is prevalent in all that she does," Fernau wrote. Among the Richter's biggest contributions to their community are through the school district. Helen Richter and her husband, Bill, have been active in the school and school-related activities for more than 50 years, according to the nomination. Richter is an alumnus of New Underwood High School, where her five children also attended. She actively supported her children's activities and fundraisers, and spent several years on the New Underwood School District School Board. She still serves as a Lego coach for grades four through eight; the team has advanced to the state competition the past two years. She has also volunteered with the New Underwood Alumni Association, updating the alumni directory, served as a 4-H leader of the New Underwood Rangers, and served as director of the Western Junior Home Ec Show. Richter worked as a mail carrier for the United States Post Office for almost 30 years, and received the Hero Award from the U.S. Postal Service for helping a patron who had fallen and couldn't get up. “All of us in the community are well cared for by Helen Richter, including the Fernau cats," Fernau wrote. According to the release, Smith was a teacher for 33 years. That included six years in rural South Dakota schools, and 22 years at Faith Christian School in Minnesota. Her family moved back to South Dakota in 2000, and Smith substituted at five rural schools in Meade County. In addition to teach, Smith served as secretary for her husband, Jack, when he managed the Farmers Union Oil Company. Smith is also very involved in church activities, as a longtime Sunday school teacher, and stints as organist and pianist for more than one congregation. She has also played piano, organ and accordion at Prairie Bible Church of God services for 14 years. Other community involvement includes Smith's work the Christian Women, now known as the Stone Cross Ministries, where she plays music. She and her "gentleman friend" Fritz Hughes also visit and play music at assisted living facilities and nursing homes. In her Sturgis apartment, Smith goes out of her way to befriend her neighbors. From serving soup to someone who seemed unhappy to delivering a meal to someone who couldn't visit the dining room, Smith tries to spread kindness. “I have known Edna for over 50 years, and she has always shared her talents with others to brighten their day,” Delbridge wrote. Skillingstad was nominated by Lloyd and Margee Willey, who said he proved quick to volunteer as soon as he and his wife, Danene, moved back to Wasta. When the ceiling in the Wasta Community Hall caved in, Skillingstad spearheaded the effort to replace it. After Winter Storm Atlas wreaked havoc in 2013, Skillingstad was among the cadre of good neighbors working to clean up the storm's damage. He's also a reliable presence at community events, like the Fourth of July celebration, Relay for Life, and the community's Centennial Celebration in 2006. "Ken is an excellent cook and volunteers whenever the town or fire department has a need. Whether it is a chili cook-off, a pot luck supper, or a holiday celebration, he is there to help," the nomination reads. Along with community events, Skillingstad is handy with a toolbox and offers his help to friends and neighbors. In the winter, everyone benefits from his snow blower. The Willey's also describe his as a "fond grandfather," member of the Wasta Methodist Church and the Wasta Volunteer Fire Department. “Ken is in tune with all of Wasta’s functions, big and small, and is the first to stand up to volunteer. He is a “good neighbor” because he is an “everyday” good neighbor," the Willeys wrote. Richter is active in her church, Peace Lutheran in Rapid City, teaching Sunday school and volunteering as a member of the Main Street Living Choir for a series of worship services. A longtime member of the New Underwood American Legion Auxiliary, Richter has served as secretary-treasurer for 19 years. Her responsibilities include the annual poppy distribution and selecting an annual Girls State representative from the local high school. She has volunteered as the cashier for the annual Labor Day steam burger feed, worship services at the Good Samaritan Society, and the High School Rodeo cook shack. Richter is also a member of the Merry Mixers Club and the Red Hats. Her jobs have included Wall Drug, serving as a proctor for 70 boys at Tangburn Hall at Black Hills State College, West River Electric, New Underwood Bank and as activity director for a Good Samaritan Society. As spring flooding continued to wreak havoc across the Midwest, water isn't the only thing pouring in.